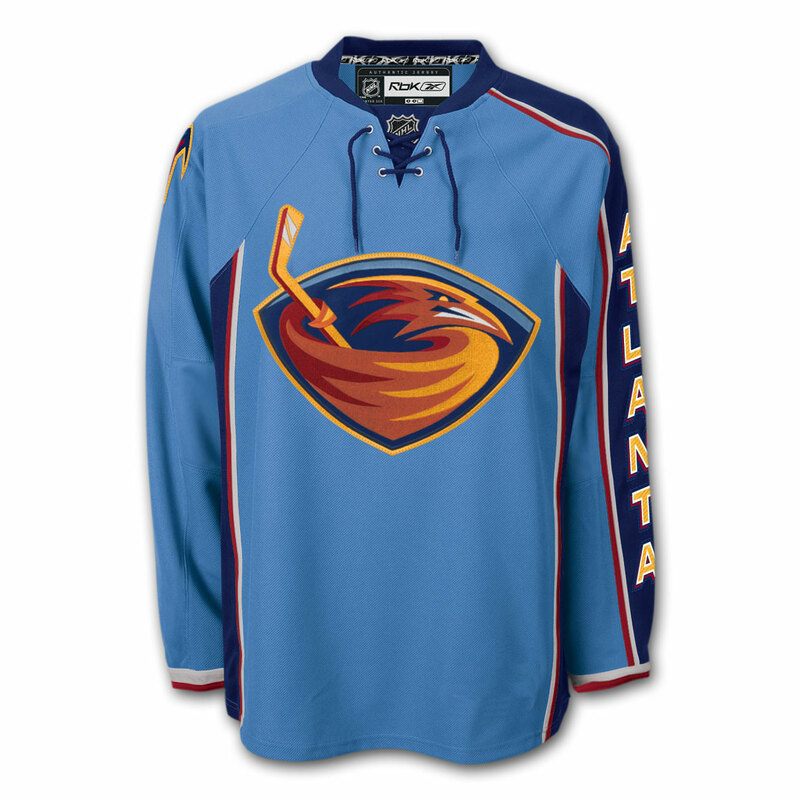 #4 Atlanta Thrashers What looks best against pyjama powder-blue? A hockey stick emerging from a fire-eagle tornado. 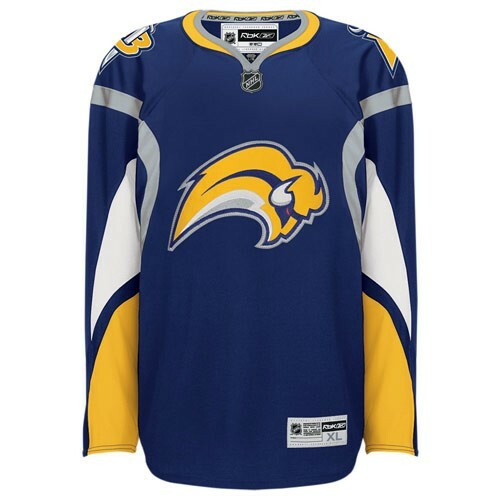 #3 Buffalo Sabres I think even the most loyal Sabres fans must rue the day the buffalarva was born. 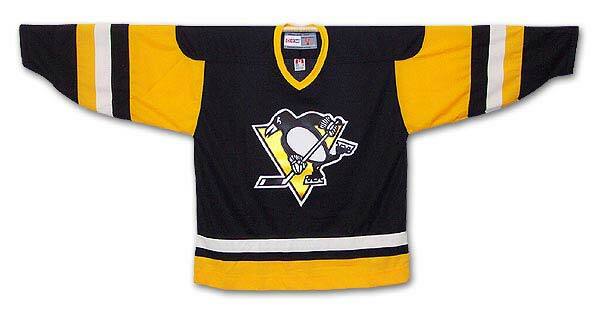 #2 Pittsburgh Penguins If it weren’t for the Hallmark-y hockey-playing penguin, I’d mistake this jersey for a bumblebee costume. Aw, hell. I don’t even want to talk about it. 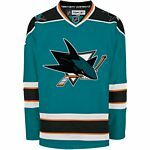 #1 San Hose Sharks I can’t stress this enough: bad idea to have such a busy logo. (“Hold on, is that shark swimming out of a triangle biting a hockey stick?”) This design is another example of an overworked and self-dating uniform. Oh, and teal? Apparently the Sharks ordered their jerseys from a Land’s End catalogue in 1992. The original uniforms included a pair of pleated chinos. 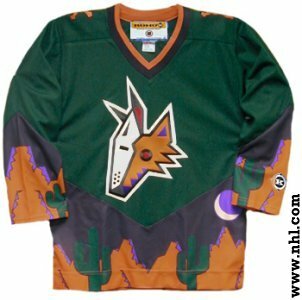 The Phoenix Coyotes introduced this alternate jersey in 1998. I think it speaks for itself. 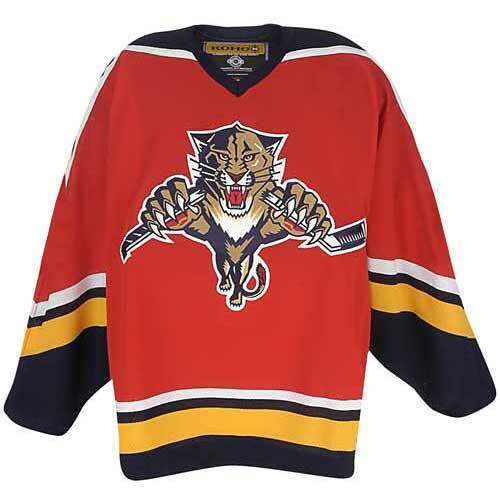 This entry was posted in Uncategorized and tagged Habs, jersey design, montreal canadiens, NHL, worst jersey. Bookmark the permalink.